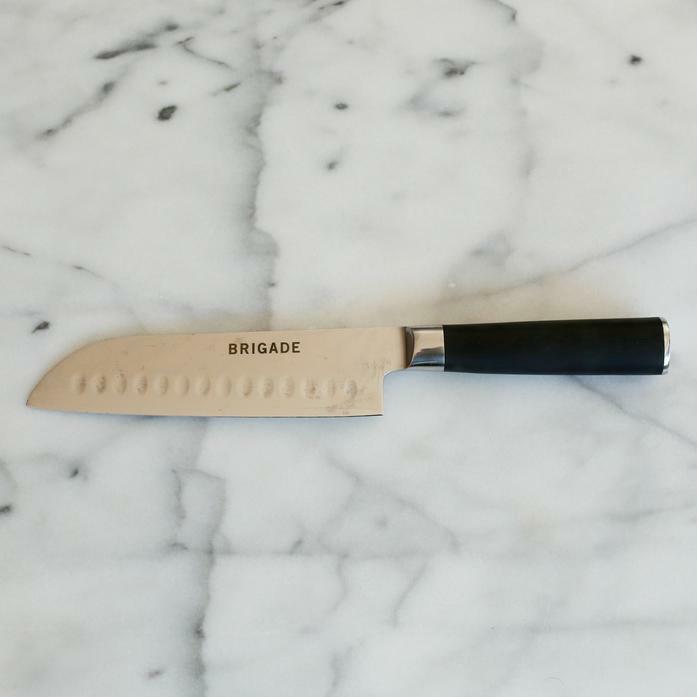 The Brigade Santoku is the perfect all around knife. Use it to slice and dice meat, veggies, and anything else that finds its way onto your cutting board (we suggest keeping it to things you can eat). Made from the best quality Damascus steel the world can find, the edge is sharp, durable and ready to help everyone from pros to newbies.